The Campaign for the National Army Museum is proud to introduce new donor recognition opportunities. Sponsor a theater seat in the state-of-the-art Army Theater. 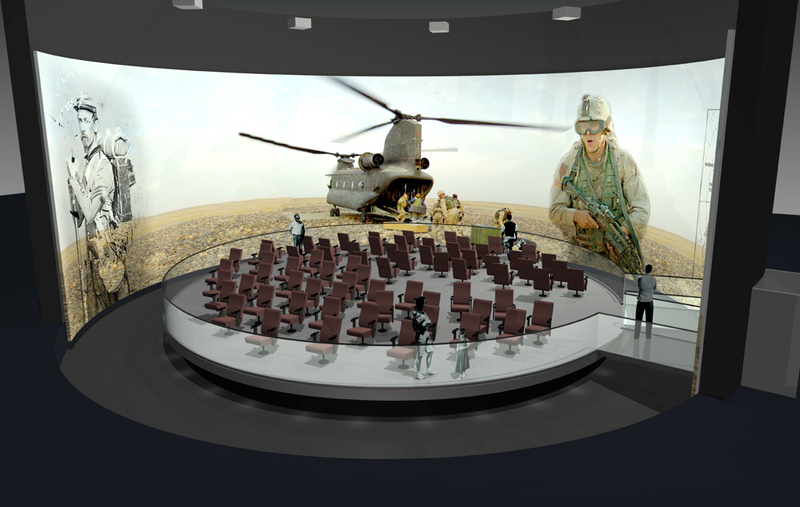 The Army Theater will engage, educate, and entertain Museum visitors with a stunning 306-degree projection display. This “must see” Museum feature surrounds the audience with sights and sounds ranging from basic training to combat in defense of our nation, from peacekeeping and humanitarian assistance to the advent of technologies and services that have transformed Americans’ daily lives. Provide visitors with a moment of reflection by sponsoring a bench with your name, or the name of someone you wish to honor, in the beautifully landscaped grounds of the National Army Museum. 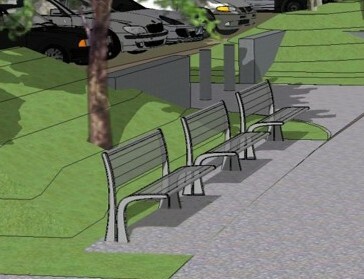 Exterior benches will create places for visitors to sit and reflect on the dedication and sacrifices of the individuals who served in the U.S. Army. You will be proud that a bench dedicated in your name, or the name of someone you choose to honor, will be at the service of your fellow Museum visitor. The alcoves in Veterans’ Hall have all been sponsored, but we are currently working on new opportunities that will recognize donors while showing reverence to the sacrifice of the American Solider. When you give a gift of $5,000 or more to the National Army Museum, you become an Associate of the Lexington & Concord Society. As an Associate, you will receive premium VIP invitations to special events hosted by the Museum Campaign and the Army Historical Foundation, meet with top Museum officials and your fellow Associates, and keep fully abreast of the Museum’s progress while learning about the Museum’s public programs and educational initiatives. To see the full list of benefits and to learn more about this exclusive society, click here. All inscriptions are subject to editing by the Army Historical Foundation. If you have any questions about the naming opportunities listed above, contact Katie Holt at kathleen.holt@armyhistory.org.